This Website may be accessed from various locations both within and outside the United States of America (“USA”). Access to and use of the Website, including functionality and features and products and services available through the Website, may be inappropriate, prohibited, or restricted in certain jurisdictions outside of the USA. In addition, certain functionality, features, products, and services available through the Website may not be available in jurisdictions outside the USA. The UPS Store makes no representations or warranty that the Website is appropriate or available for use outside of the USA. If you access or use the Website from outside the USA, you do so at your own risk and are responsible for complying with the laws and regulations of the territory from which you access and use the Website. The “Shipping Related Systems” are comprised of the systems used to provide package tracking information, The UPS Store locations, and other functions and information related to the shipment of packages as provided on the Website. The Shipping Related Systems and information gained from such systems are to be used by you solely in connection with packages shipped by or to you or on your behalf and for no other purpose. The UPS Store authorizes you to use tracking functionality within the Shipping Related Systems solely to track shipments tendered by or for you to the carrier for delivery and for no other purpose. Any use in connection with the Shipping Related Systems of automated inquiry devices, robots, or repetitive data gathering and extraction tools, routines, scripts, or other mechanisms with similar functionality is expressly prohibited. All trademarks, service marks, trade names, logos, trade dress, icons, and domains name registrations (“Marks”) located on this Website are the registered and unregistered intellectual property of The UPS Store, its parent or affiliate entity, their respective licensors or other third parties. Other product and company names mentioned on the Website may be the Marks of third parties and such Marks may not be used, copied or reproduced without the permission of their respective owners. Nothing contained on the Website should be construed as granting, by implication, estoppel, or otherwise, any license or right to use any Mark without the express written permission of The UPS Store or the third party owner of any such Marks. Misuse of any Marks is prohibited, and The UPS Store may aggressively enforce its intellectual property rights in such Marks, including via civil and criminal proceedings. Any rights not expressly granted herein are reserved to The UPS Store or such third parties. BIG OR SMALL WE SHIP IT ALL; MAIL BOXES ETC. ; MAIL BOXES ETC. CERTIFIED PACKING EXPERTS; MAKING BUSINESS EASIER; MBE; MBE SQUARE GLOBE DESIGN; MBE SQUARE GLOBE DESIGN with MAIL BOXES ETC. ; PACK & SHIP PROMISE; THE UPS STORE; THE UPS STORE CERTIFIED PACKING EXPERTS; TOTALSHIPPING; WE DO MORE THAN SHIPPING. The Website is owned and operated by The UPS Store in conjunction with others pursuant to contractual arrangements. The Website contains content, data, text, graphics, images, audio and video clips, logos, icons, and other materials (collectively, the “Materials”). The Website, the Materials and the selection, compilation, collection, arrangement, and assembly thereof are protected by U.S. and international copyright, trademark, and other laws, and you acknowledge that these rights are valid and enforceable. The Materials (and any intellectual property and other rights relating thereto) are and shall remain the property of The UPS Store and its licensors and suppliers. When registering for an account on the Website, you may be asked to create a user ID and to choose a password. Some areas of the Website may require you to be or become a registered user of the Website. When and if you register to become a registered user, you agree to provide accurate, current and complete information about yourself as prompted by our registration form (including your email address) and maintain and update such information. You represent and warrant that any information you provide in connection with your use of the Website is and shall remain true, accurate, and complete, and that you shall maintain and update such information regularly. You agree that if any information you provide is false, inaccurate, obsolete or incomplete, we may terminate your use of the Website. We may refuse to grant you a user ID, if in our discretion, it belongs to or is being used by another person, violates the intellectual property or other rights of any person, or is offensive. You are responsible for keeping your user ID and password secret and confidential and restricting access to that information. You are solely responsible for all activities, including purchases, that occur using your user ID and password. In order to use certain portions of the Website, you may be required to register for an account or download certain software from this Website ("Software"). Your use of an account or any Software is subject to the terms and conditions and license terms that accompany or are provided with the account registration or Software. By opening an account or downloading any Software, you agree to comply with those terms and conditions and license terms. Some Software or Materials available from this Website may be subject to export controls imposed by the United States. You agree to comply with all such applicable restrictions and not to export or re-export the Materials or any Software to countries or persons prohibited under the United States or other applicable export control laws or regulations. If you download or use the Materials or Software, you represent and warrant that you are not located in, or under the control of, or a national of any such country where such export is prohibited or are not a person or entity to which such export is prohibited. You are solely responsible for compliance with the laws of your local jurisdiction and any other applicable laws regarding the import, export, or re-export of the Materials or any Software. The UPS Store maintains a policy of not reviewing or accepting any unsolicited submissions of ideas, inventions, designs, or other materials. 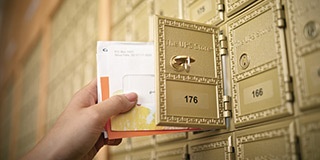 Any materials, information, suggestions, ideas, inventions, designs, know-how, concepts, techniques, or other communications you transmit or post to this Website or to The UPS Store by any means, including, without limitation, through electronic mail will be considered non-confidential and non-proprietary ("Communications"). The UPS Store will have no obligations with respect to the Communications. The UPS Store attempts to verify that information on this Website is complete, accurate, and current. Despite our efforts, the information on this Website may occasionally be inaccurate, incomplete, or out of date. We make no representation as to the completeness or accuracy of any information on this Website, or whether or not such information is current. For example, products included on the Website may be unavailable, may have different attributes than those listed, or may actually carry a different price than that stated on the Website. Product information provided on the Website is for information purposes only and although The UPS Store makes every effort to display products (including their colors) as accurately as possible, sometimes your computer and monitor settings can affect what you see when you look at the Website. Consequently, The UPS Store cannot guarantee you will accurately be able to see the actual colors and specific features in every case. In addition, we may make changes in information about price and availability without notice. Information and content may have been contributed to the Website by various third parties, including, without limitation, third party service providers. The inclusion of such information and content does not indicate any approval or endorsement thereof, and The UPS Store expressly disclaims any liability with respect to such information and content. If you wish to purchase products or services described on the Website (each such purchase, a “Transaction”), you will be asked to supply certain information applicable to your Transaction, including, without limitation, payment card and other payment and shipping information. You understand that such information applicable to the Transaction shall be treated in the manner described in the privacy notice applicable to that Transaction. You acknowledge and agree that (a) charges for purchases may not be refundable; (b) you will pay all charges incurred in connection with purchases by you or any users of your account and payment card (or other applicable payment mechanism) at the price(s) in effect when such charges are incurred, including shipping fees and all taxes; and (c) if The UPS Store does not receive payment from your payment card issuer, you will pay all amounts due upon demand. While it is our practice to confirm orders by email, the receipt of an email order confirmation does not constitute our acceptance of an order or our confirmation of an offer to sell a product or service. The UPS Store reserves the right, without prior notice, to limit the order quantity on any product or service or to refuse service. We also may require verification of information prior to the acceptance or shipment of any order. There may be certain orders that we are either unable to accept or must cancel. The UPS Store reserves the right, at our sole discretion, to refuse or cancel any order for any reason, including those made to resellers. Possible circumstances involving our canceling an order may be limitations on quantities available for purchase or inaccuracies or errors in product or pricing information. Certain products offered on the Website may be subject to additional or different terms and conditions, which will be specified on the applicable product page. The UPS Store reserves the rights to change its prices and billing methods at any time, effective immediately upon publication. The UPS Store works with select manufacturers to offer products for your business or personal use. Certain products are not available for pickup at The UPS Store locations, but will be shipped directly from the manufacturer (“Manufacturer Direct”). Pricing. The prices advertised on this Website are for Internet orders unless otherwise noted. Any “list prices” used on the Website are provided by product manufacturers, distributors, or determined based upon comparable products and are subject to change. Your purchase price may vary. Additionally, prices on some items may differ from the prices charged at The UPS Store® Center Locations. No Obligation. 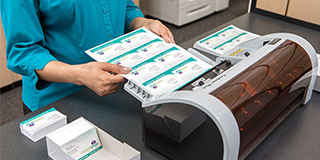 For those products that require proofing, The UPS Store has no obligation to proof or otherwise to pre-flight (i.e., confirm the digital files are all present, valid, correctly formatted, of the desired type, meet content requirements, etc.) or provide quality assurance review of any files or the content or layout of your order. Orders are completed in their “as submitted” form and you are fully responsible for final verification and approval. Shipping. Shipping options will be provided with respect to each product during the checkout process. When an order is placed, it will be shipped to an address designated by the purchaser as long as that shipping address is compliant with the shipping restrictions contained on this Website. All purchases from this Website are made pursuant to a shipment contract. Delays. Delivery of purchases may be delayed. If your order is delayed for more than three (3) weeks, you will be contacted and provided with an option to wait for the delivery or cancel the order. Your Representations and Warranties. If you make a purchase through the Website, you represent and warrant that (a) you are at least eighteen (18) years of age, or the age of majority under applicable law, prior to purchasing products; (b) you have the legal right to use any payment card(s) used in connection with any Transaction; and (c) you have either an existing account with The UPS Store or provide valid and authorized payment information and agree that The UPS Store may charge the payment card at the time of your transaction. Except as otherwise provided for a particular product, once an order is received through the Website, it cannot be cancelled. For orders of customized products, The UPS Store generally has no obligation to replace, return, or refund an order unless the product arrives damaged or is printed incorrectly. If the return policy or requirements varies for any particular product, it will be noted on the product page. In addition to the other terms provided on the Website, we are not responsible for: (a) spelling, punctuation, or grammatical errors made by the end user; (b) inferior quality or low-resolution of uploaded images; (c) design errors introduced by the customer in the document creation process; (d) errors in user-selected options such as choice of finish, quantity, or product type; or (e) damage to the products arising after delivery to the end user. If you believe your order is defective or has not otherwise met your requirements, please contact Customer Service IN WRITING via the online support system, within three (3) business days of receiving your order. If you do not contact us within this time frame, we have no obligation to provide a refund or replacement. Once you have contacted us, we will determine if a replacement or refund is appropriate, or to advise you that more information is needed to process your inquiry. We reserve the right to request samples of any allegedly defective merchandise. If we request additional information to verify an inquiry and it is not provided within a reasonable time, we will be under no obligation to provide a refund or replacement. For products or services that are fulfilled by a The UPS Store® Center Location, please check your transaction receipt and/or contact that The UPS Store® Center Location for returns and refunds. Each The UPS Store® Center Location is independently owned and return policies may vary. The UPS Store locations are independently owned and operated by franchisees of The UPS Store, Inc. in the USA. The UPS Store, its parent and affiliated entities are not responsible for the acts or omissions of any The UPS Store franchise location or for any obligations to you that are incurred by any such franchise location. This Website provides links to web pages operated by the individual The UPS Store franchisees that include information and materials provided by those individual locations. The products and services, promotions, special offers, prices, and hours of operations provided at each location may vary by location. The information or materials on the web pages operated by individual The UPS Store locations may be out of date and you should contact the local store location for details. YOU AGREE AND ACKNOWLEDGE THAT FOR PRODUCTS AND SERVICES ORDERED THROUGH THE WEBSITE WHERE YOU DESIGNATE A THE UPS STORE® CENTER LOCATION, YOU ARE ENGAGING THE SERVICES OF A PARTICULAR THE UPS STORE® CENTER LOCATION, AS SELECTED BY YOU ON THE WEBSITE, AND YOU ARE NOT ENGAGING THE UPS STORE. THE UPS STORE HAS THE RIGHT, BUT NOT THE OBLIGATION, TO TRANSFER YOUR REQUEST TO ANOTHER THE UPS STORE® CENTER LOCATION OR TO A SERVICE PROVIDER OF THE UPS STORE IF THE UPS STORE DETERMINES, IN ITS SOLE DISCRETION, THAT THE UPS STORE® CENTER LOCATION TO WHICH YOU SUBMITTED SUCH REQUEST CANNOT ADEQUATELY RESPOND THERETO. 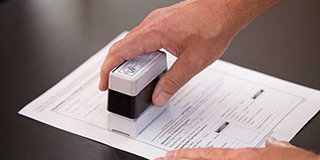 FOR PRODUCTS AND SERVICES FULFILLED BY A THE UPS STORE® CENTER LOCATION, THE UPS STORE FACILITATES THE REQUEST, BUT IS NOT A PARTY TO THE TRANSACTION. CERTAIN PRODUCTS AND SERVICES ORDERED ON THE WEBSITE MAY BE FULFILLED BY, OR ON BEHALF OF, THE UPS STORE DIRECTLY WHEN A THE UPS STORE® CENTER LOCATION IS NOT IDENTIFIED FOR THE FULFILLMENT OF THE ORDER. Information published at this Website may refer to products, programs, or services that are not available at all The UPS Store locations or available through this Website in your country or geographical location. Some of the promotional items, premiums, and prices may only be available in certain areas or at certain locations and terms and restrictions may apply. Consult your local The UPS Store business contact for information regarding the products, programs, and services that may be available to you. Coupons, discounts, and special offers may be subject to restrictions and expiration dates, and you should see your local The UPS Store location for details. Shall not create a browser or border environment around, or mirror, any portion of the Website. Shall not imply that The UPS Store is endorsing it or its products. Shall not misrepresent its relationship with The UPS Store. Shall not present false information about The UPS Store products or services. Shall not use the The UPS Store logo without express written permission from The UPS Store. Shall not contain content that could be construed as distasteful, offensive or controversial, and should contain only content that is appropriate for all age groups. put or upload to the Website, or otherwise transmit, any information or content that that infringes on the intellectual property or personal or proprietary rights of another or that is offensive, in our discretion. impersonate any person or entity, including, without limitation, any representative of The UPS Store. transmit any software or other materials that contains viruses, Trojan horses, worms, time bombs, or other computer programming routines that are intended to damage, interfere with, intercept, or expropriate, any system, the Website or information. use any meta tags or any other "hidden text" utilizing The UPS Store’s name or Marks without the prior express written permission of The UPS Store. THE WEBSITE AND ALL FEATURES, FUNCTIONALITY, MATERIALS, AND SOFTWARE PROVIDED AT THE WEBSITE ARE PROVIDED "AS IS" AND WITHOUT ANY WARRANTIES OF ANY KIND, EXPRESS OR IMPLIED. AS WITH THE PURCHASE OF A PRODUCT OR SERVICE THROUGH ANY MEDIUM OR IN ANY ENVIRONMENT, YOU SHOULD USE YOUR BEST JUDGMENT AND EXERCISE CAUTION WHERE APPROPRIATE. YOUR USE OF THE WEBSITE AND ANY MATERIALS PROVIDED THROUGH THE WEBSITE ARE ENTIRELY AT YOUR OWN RISK. TO THE FULLEST EXTENT PERMISSIBALE BY APPLICABLE LAW, ALL PRODUCTS AND SERVICES PURCHASED ON OR THROUGH THIS WEBSITE ARE SUBJECT ONLY TO ANY APPLICABLE WARRANTIES OF THEIR RESPECTIVE MANUFACTURERS, DISTRIBUTORS, AND SUPPLIERS, IF ANY. TO THE FULLEST EXTENT PERMISSIBLE PURSUANT TO APPLICABLE LAW, THE UPS STORE, ALL OF ITS SUBSIDIARIES, PARENT, OR RELATED COMPANIES, FRANCHISEES, ALL THE UPS STORE LOCATIONS, LICENSORS, SUPPLIERS, ADVERTISERS, AND AGENTS, AND ALL OF THEIR RESPECTIVE OFFICERS, DIRECTORS, EMPLOYEES, OR REPRESENTATIVES (“THE UPS STORE GROUP”) DISCLAIM ALL WARRANTIES, EXPRESS OR IMPLIED, INCLUDING WARRANTIES OF MERCHANTABILITY, FITNESS FOR A PARTICULAR PURPOSE, TITLE, OR NON-INFRINGEMENT OF INTELLECTUAL PROPERTY , AND ANY WARRANTIES THAT MAY ARISE FROM COURSE OF DEALING, COURSE OF PERFORMANCE OR USAGE OF TRADE. THE UPS STORE GROUP HEREBY DISCLAIMS ALL WARRANTIES OF ANY KIND, EITHER EXPRESS OR IMPLIED, INCLUDING ANY IMPLIED WARRANTIES WITH RESPECT TO THE PRODUCTS AND SERVICES LISTED OR PURCAHSED ON OR THROUGH THIS WEBSITE. WITHOUT LIMITING THE GENERALITY OF THE FOREGOING, THE UPS STORE GROUP HEREBY EXPRESSLY DISCLAIMS ALL LIABILITY FOR PRODUCT DEFECTS OR FAILURES, CLAIMS THAT ARE DUE TO NORMAL USE, PRODUCT MISUSE, ABUSE, PRODUCT MODIFICATION, IMPROPER PRODUCT SELECTION, NON-COMPLIANCE WITH ANY LAWS, OR MISAPPROPRIATION. WE MAKE NO WARRANTIES TO THOSE DEFINED AS “CONSUMERS” IN THE MAGNUSON-MOSS WARRANTY – FEDERAL TRADE COMMISSION IMPROVEMENTS ACT. THE UPS STORE GROUP DOES NOT WARRANT THAT YOUR USE OF THE WEBSITE WILL BE UNINTERRUPTED, ERROR-FREE OR SECURE, THAT DEFECTS WILL BE CORRECTED, OR THAT THE WEBSITE OR THE SERVER(S) ON WHICH THE WEBSITE IS HOSTED ARE FREE OF VIRUSES OR OTHER HARMFUL COMPONENTS. YOU ACKNOWLEDGE THAT YOU ARE RESPONSIBLE FOR OBTAINING AND MAINTAINING ALL TELEPHONE, COMPUTER HARDWARE, AND OTHER EQUIPMENT NEEDED TO ACCESS AND USE THE WEBSITE, AND ALL CHARGES RELATED THERETO. YOU ASSUME ALL RESPONSIBILITY AND RISK FOR YOUR USE OF THE WEBSITE AND YOUR RELIANCE THEREON. NO OPINION, ADVICE OR NOTICE BY THE UPS STORE GROUP, AND THE UPS STORE’S FRANCHISEES, LICENSORS, SUPPLIERS, ADVERTISERS, SPONSORS, AND AGENTS, MEMBERS, OR VISITORS, WHETHER MADE ON THE WEBSITE OR OTHERWISE, SHALL CREATE ANY WARRANTY. APPLICABLE LAW MAY NOT ALLOW THE EXCLUSION OR LIMITATION OF INCIDENTAL OR CONSEQUENTIAL DAMAGES, SO THE ABOVE LIMITATIONS OR EXCLUSIONS MAY NOT APPLY TO YOU. None of the communications made through this Website should be construed as an offer to sell or the solicitation of an offer to buy any The UPS Store franchise in, nor is any such communication directed to the residents of, any jurisdiction requiring registration of the franchise before it is offered and sold in that jurisdiction. No The UPS Store franchises will be sold to any resident of or, if applicable, for operation in, any such jurisdiction until the offering has been exempted from the requirements of, or duly registered in and declared effective by, such jurisdiction and the required Franchise Disclosure Document (if any) has been delivered to the prospective franchisee before the sale in compliance with applicable law. If you have any questions concerning the registration status of The UPS Store franchises in your jurisdiction, please contact The UPS Store Legal Department at (858) 455-8800. YOUR USE OF THE WEBSITE IS AT YOUR OWN RISK. TO THE EXTENT PERMITTED BY APPLICABLE LAW, IN NO EVENT WILL THE UPS STORE, ITS PARENT OR AFFILIATE ENTITIES, ITS FRANCHISEES, LICENSORS, SUPPLIERS, ADVERTISERS, SPONSORS, AGENTS, OR OTHER THIRD PARTIES MENTIONED AT THIS WEBSITE BE LIABLE FOR ANY DIRECT OR INDIRECT DAMAGES WHATSOEVER, OR ANY SPECIAL, PUNITIVE, CONSEQUENTIAL, OR OTHER DAMAGES (INCLUDING, WITHOUT LIMITATION, THOSE RESULTING FROM LOST PROFITS, LOST DATA, OR BUSINESS INTERRUPTION) ARISING OUT OF THE USE, INABILITY TO USE, OR THE RESULTS OF USE OF THIS WEBSITE, ANY WEBSITES LINKED TO THIS WEBSITE, OR THE MATERIALS, SOFTWARE, FEATURES, PRODUCTS, SERVICES, OR INFORMATION CONTAINED AT ANY OR ALL SUCH WEBSITES, WHETHER BASED ON WARRANTY, CONTRACT, TORT OR ANY OTHER LEGAL THEORY AND WHETHER OR NOT ADVISED OF THE POSSIBILITY OF SUCH DAMAGES. IF YOUR USE OF THE MATERIALS, SOFTWARE, FEATURES, PRODUCTS, SERVICES OR INFORMATION FROM THIS WEBSITE RESULTS IN THE NEED FOR SERVICING, REPAIR OR CORRECTION OF EQUIPMENT OR DATA, YOU ASSUME ALL COSTS THEREOF. YOU EXPRESSLY ACKNOWLEDGE AND AGREE THAT THE UPS STORE GROUP SHALL HAVE NO LIABILITY OR RESPONSIBILITY WHATSOEVER FOR (a) ANY UNAUTHORIZED ACCESS TO OR USE OF OUR SECURE SERVERS OR ANY AND ALL PERSONAL INFORMATION OR FINANCIAL INFORMATION STORED THEREIN; (b) ANY INTERRUPTION OR CESSATION OF TRANSMISSION TO OR FROM THE WEBSITE; (c) ANY BUGS, VIRUSES, WORMS, TROJAN HORSES, DEFECTS, DATE BOMBS, TIME BOMBS OR OTHER ITEMS OF A DESTRUCTIVE NATURE WHICH MAY BE TRANSMITTED TO OR THROUGH OUR WEBSITE BY ANY THIRD PARTY; OR (d) ANY ERRORS, MISTAKES, INACCURACIES OR OMISSIONS IN ANY MATERIALS, OR FOR ANY LOSS OR DAMAGE OF ANY KIND INCURRED AS A RESULT OF THE USE OF ANY MATERIALS POSTED, EMAILED, TRANSMITTED, OR OTHERWISE MADE AVAILABLE VIA THE WEBSITE. THE UPS STORE GROUP DOES NOT WARRANT, ENDORSE, GUARANTEE, OR ASSUME RESPONSIBILITY FOR ANY HYPERLINKED WEBSITE. YOUR SOLE REMEDY FOR DISSATISFACTION WITH THE WEBSITE OR MATERIALS OR ANY LINKED WEBSITE IS TO STOP USING THE WEBSITE OR MATERIALS, AS APPLICABLE. THE SOLE AND EXCLUSIVE MAXIMUM LIABILITY TO THE UPS STORE GROUP FOR ALL DAMAGES, LOSSES AND CAUSES OF ACTION, WHETHER IN CONTRACT, TORT (INCLUDING, WITHOUT LIMITATION, NEGLIGENCE) OR OTHERWISE, SHALL BE THE LESSER OF ONE HUNDRED DOLLARS ($100.00) OR THE AMOUNT PAID BY YOU TO THE UPS STORE FOR YOUR LAST PURCHASE, PLUS SHIPMENT FEES, IF ANY. If you believe in good faith that your copyrighted work has been infringed by Materials on this Website and you want The UPS Store to take down or disable the infringing materials, you must provide all the information requested on the below Notification of Claimed infringement. The information requested is intended to substantially conform to the requirements set forth in the Digital Millennium Copyright Act, 17 U.S.C Section 512(c)(3)(A). Notices and counter-notices with respect to copyright infringement claims must be sent in writing to Jenny Robinson as follows: By mail to Jenny Robinson at The UPS Store, Inc., 6060 Cornerstone Court West, San Diego, CA 92121, United States of America; by e-mail to tm@upsstore.com; or by fax to (858) 546-7498. Jenny Robinson’s phone number is (858) 455-8800. When you visit the Website or send emails to The UPS Store, you are communicating with us electronically. You consent to receive communications from us electronically. We may communicate with you by email or by posting notices on the Website. You agree that all agreements, notices, disclosures, and other communications that we provide to you electronically satisfy any legal requirement that such communications be in writing. If you have questions or comments regarding this Website, please contact us by email at tm@upsstore.com.